I've spent the last 12 hours with streaming, stinging eyes, thanks to an allergic reaction to Blinc Tubing Mascara - a polymer seems to be the culprit. I'll return to public life once my eyes stop resembling overripe tomatoes. As promised, I have the next giveaway up for you, to run during my birthday (mid-April). I wanted to share a Jouer liquid lipstick with you - I reviewed these here. These are new-generation liquid lipsticks, and do not flake or behave like those uber-drying matte liquid lippies of yore. Scroll down to enter - FLOWERS PICTURED DO NOT FORM PART OF THE PRIZES; YOU GET ONLY THE MAKEUP! 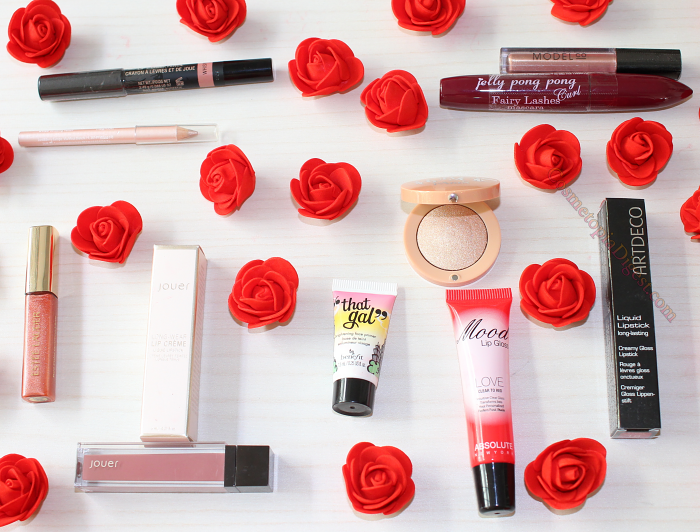 One winner receives a 10-piece selection of makeup; includes Jouer Long-Wear Lip Creme in Tawny Rose. See here for review and swatches of a selection of Jouer lip cremes. The little compact is a Bourjois eyeshadow. The flowers pictured are not included in the prize. 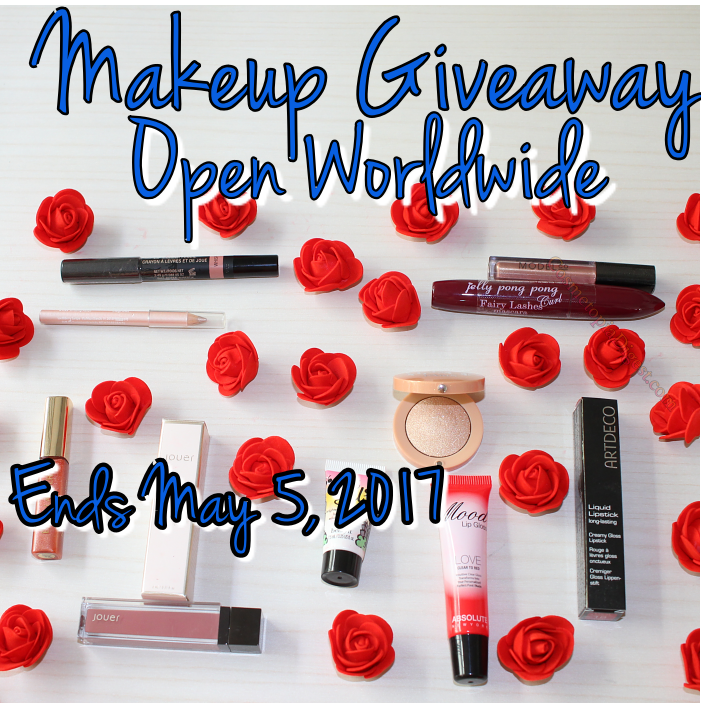 The giveaway ends on 5 May 2017. I will announce the winners once I verify the entries (which could take a couple of weeks, depending on my schedule in early May, and the number of entries). If I do not hear back in 48 hours, I will choose another winner. Enter through the Gleam widget below. If you cannot see this widget, go here. Good luck if you decide to enter - and stay tuned for all the exciting makeup and beauty posts in the meantime! You can do so through my weekly beauty newsletter - no spam, and this is a mandatory entry requirement. Do also subscribe to my newly revived YouTube channel here, and follow me on Instagram here.